Wrapping Up Your Health Flexible Spending Account for the Year? Time to Renew Individual Taxpayer Identification Numbers? 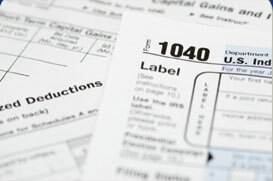 Are You Familiar with These Tax Code Sections? Tax Benefits of 529 Plans Extend Beyond Traditional Colleges? Will You Be Ready for the New Overtime Pay Rules? Did You Get Your New "Chip" Card? It's Time to Start Thinking About What You Owe For 2016?